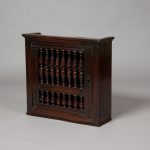 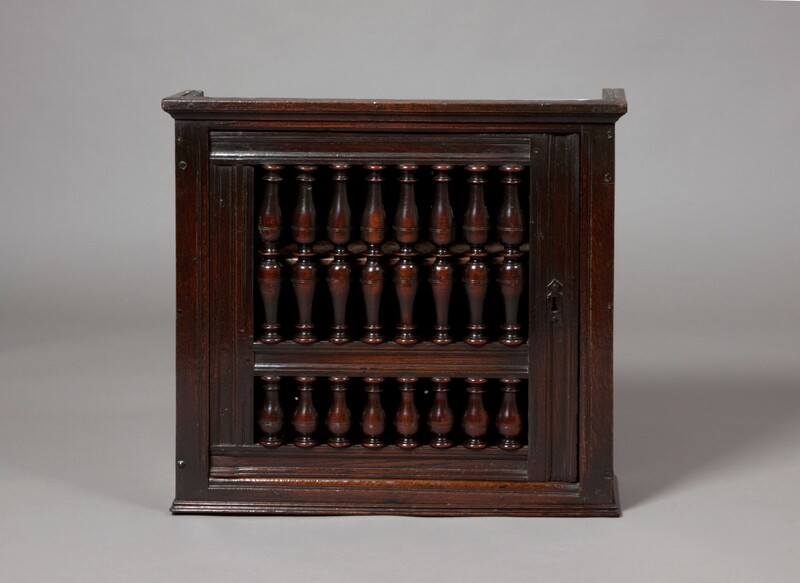 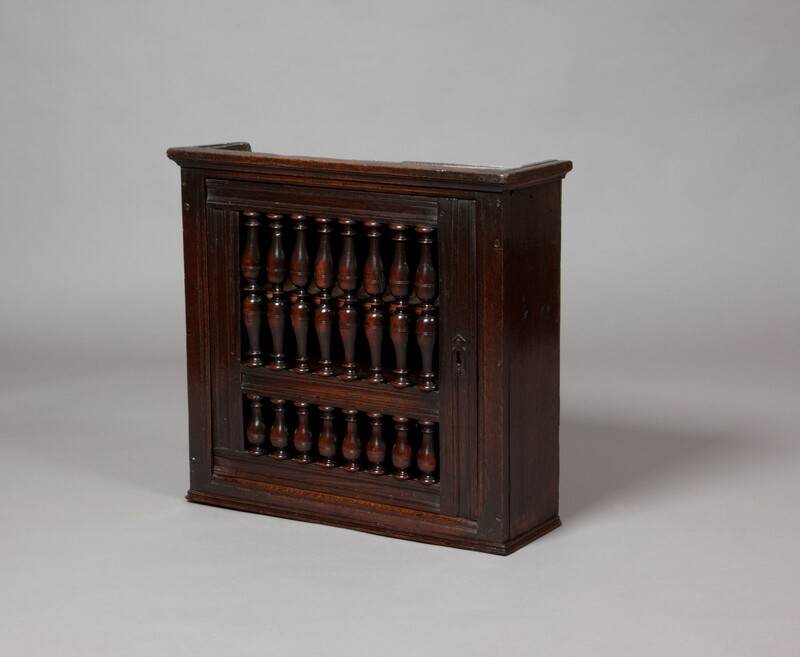 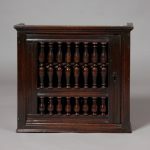 A wonderful wall cupboard, made from oak with beautifully turned and halved fruitwood spindles. 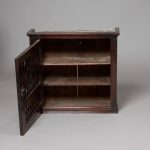 The interior has two shelves. 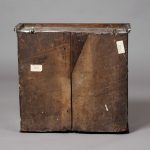 Good rich colour and patina. 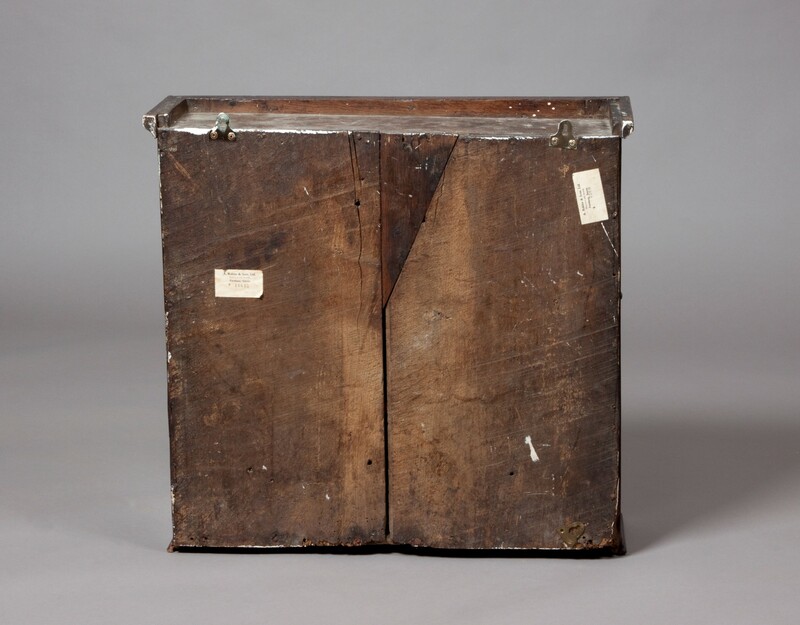 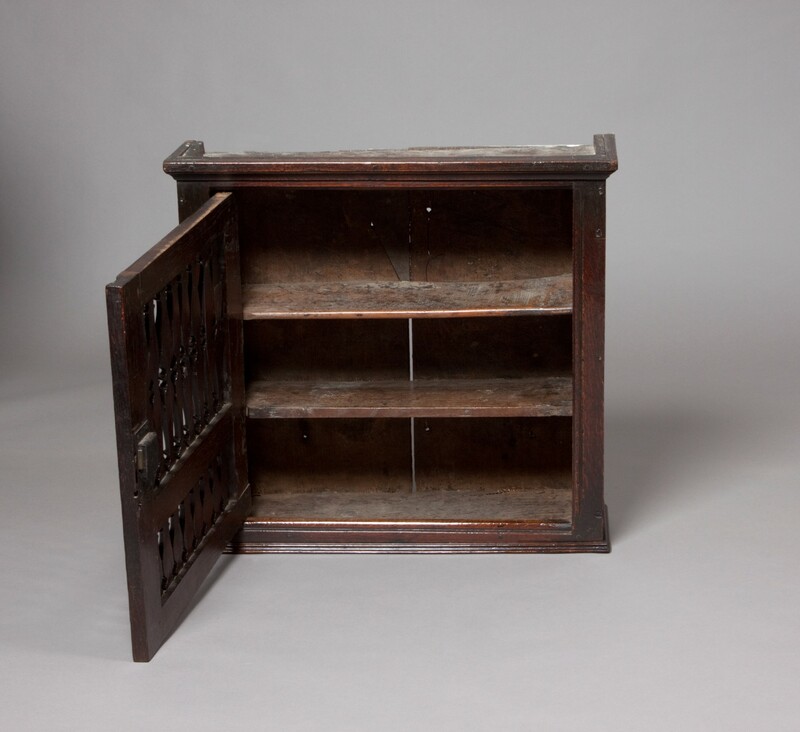 Wall cupboards were used for storing food or delicate valuable possessions such as drinking glasses.